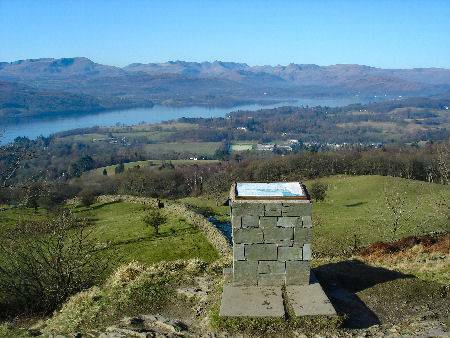 Orrest Head, above the town of Windermere is considered by many to be the best viewpoint over Lake Windermere. At 784 feet, some excellent views over the surrounding area can be had from its summit. 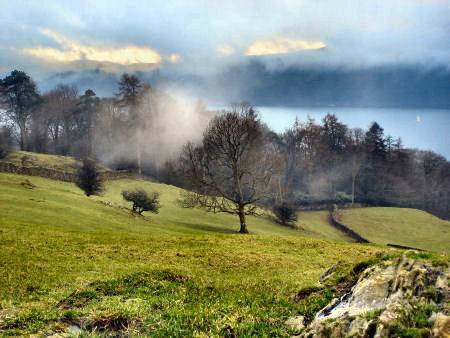 On a clear day, the fell offers a 360° panorama, from the Yorkshire fells to the Langdales and Troutbeck Valley. Even Morecambe Bay is clearly visible. The well known author and walker Alfred Wainwright's first climb was Orrest Head, he walked to the summit of the fell in 1930, and felt greatly inspired by the view from Orrest Head. It remains today just as Wainwright would have seen it. A plaque to his memory stands at the summit. 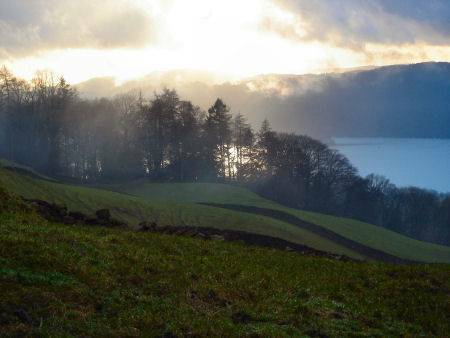 *Commencing at the bus stations on the A591 opposite the Windermere Railway Station, turn up the lane signposted Orrest Head. On reaching a triple fork in the lane, take the left fork. *On passing a farm the lane again divides into three, take the footpath to the right that leads uphill. After climbing the hill turn left into a fenced lane. Continue for a few hundred yards until reching a kissing gate on the left. Pass through the gate and climb the steps to the summit of Orrest Head. 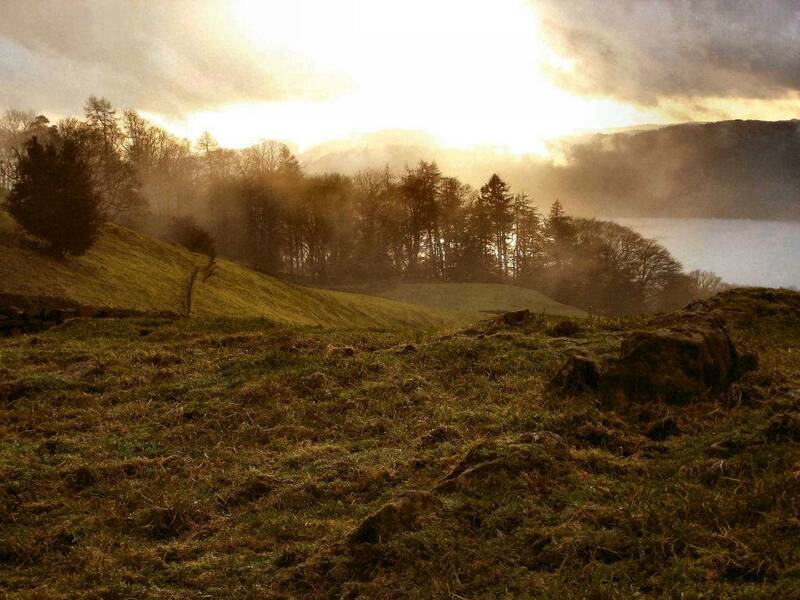 *Retrace your steps to return to Windermere.